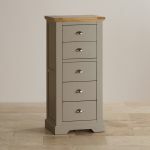 Natural oak and light grey painted 5 drawer chest of drawers. 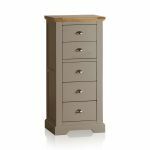 A pleasingly-proportioned tallboy with five drawers, made from painted hardwood with a solid, natural oak top. 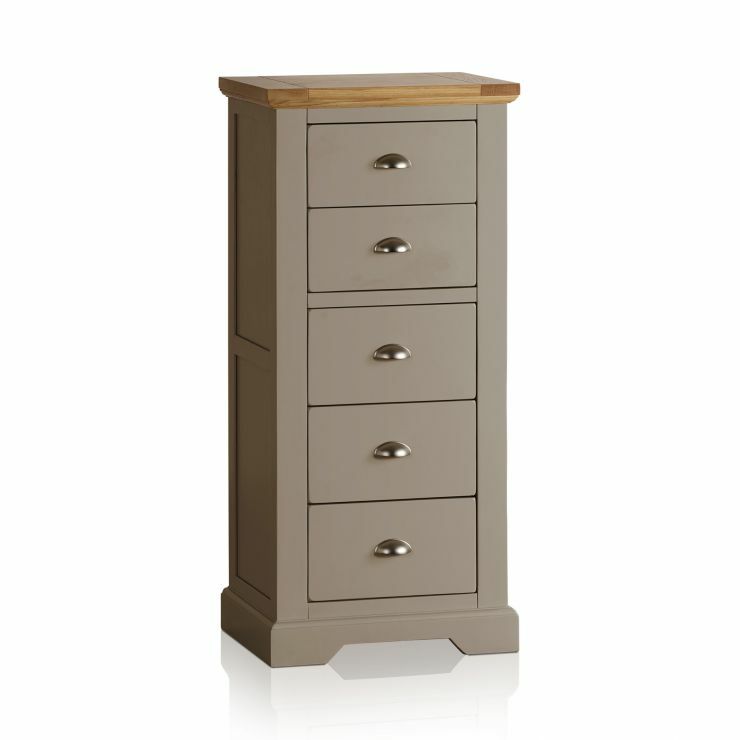 The light grey paint finish and bright metal cup handles give a modern feel to the chest of drawers. Sturdy bracket feet give a solidity to this practical piece of furniture. Good to use in the living room, dining room, or as a special accent piece in the kitchen. 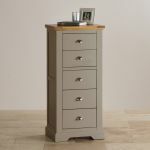 This appealing five drawer chest will help to keep things neat and tidy. 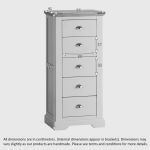 The St Ives range has pieces for every room in the house, so browse the collection and see how you can match cabinets and tables to establish a refreshing new look in your home.